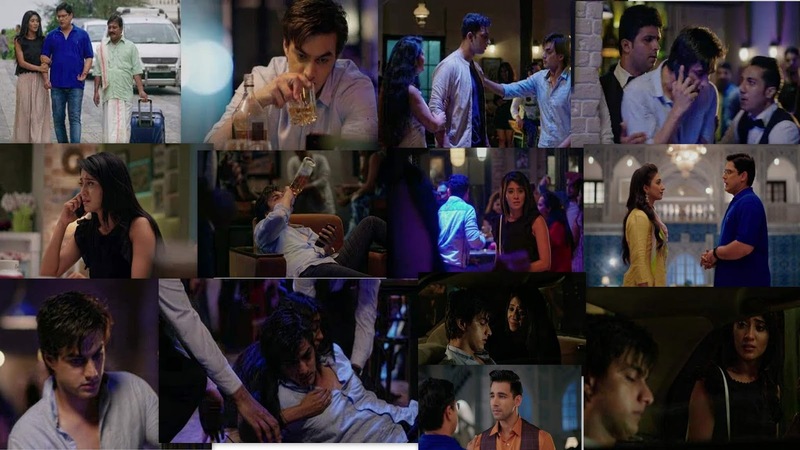 Home Yeh Rishta Kya kahlata Hai Yeh Rishta Kya Kahlata Hai 27th June 2018 Episode Written Update "Naira Takes Care of Drunk Kartik"
Yeh Rishta Kya Kahlata Hai 27th June 2018 Episode Written Update "Naira Takes Care of Drunk Kartik"
Episode starts with Kartik gets drunk and feels the sorrow of losing Naira. He has got separated by his wish, but he can’t handle the mess. Naitik asks Naira to take care of herself, while he is away from home. Naira bids him a farewell. Dadi talks to Manish on call and tells him that she wants Kartik’s happiness. She doesn’t want Kartik to stay troubled all the time. She tells him that she doesn’t want Suwarna to control Kartik’s life. Manish tells her that they need to understand where his real happiness lies. Dadi tells Manish that she will just look after Kartik’s happiness, with or without Naira. Manish asks her to get Naira back in Kartik’s life. Dadi isn’t sure if Naira and Kartik have love in their heart or not. Naira stays concerned for Kartik. She worries that he left the college in fury. Kartik and Naira cry and miss each other. Naira feels guilty to misunderstand Kartik. He gets angry that she didn’t trust him and misunderstood him once again. Kartik laughs seeing a lovey dovey couple. He tells them that they are ruining their lives by falling in love. Kartik spits out his bitterness about love. He feels true love doesn’t exist. Kartik creates a scene in the bar. Naitik lands back home and surprises Naksh. Naitik feels worried for Naira, whom he left in Mumbai. He makes a call to Naira before entering the house. Naksh feels insecure yet again. He wants Naitik to focus on him as well. Kartik calls Naira and confronts her for breaking his heart. He asks her why is she punishing him when he loved her. He throws the wine glasses and shouts in the bar. Naira learns Kartik is too drunk. Kartik asks Naira to answer him, why did she end ties. Naira tracks Kartik and goes to him to help. She cries and gets shattered seeing his vulnerable state. Naitik happily meets the family and asks for Naksh. Kirti tells Naitik that Naksh may have gone out. Naitik assures her that he will handle Naksh. She calls up Naksh to inform him about Naitik. Naksh gets distanced by his annoyance. Dadi learns that Naira is not at home. She wonders if Kartik is with Naira. Naira demands Kartik to come home. He refuses to go. Kirti tells Naitik about Naksh’s issues. She tells him that she is feeling guilty to lie to everyone about Kartik and Naira sharing the same apartment. He understands her concern and asks her not to hold worries in mind. He asks her what’s troubling her. She feels blessed to get a supportive father-in-law. She wishes Naksh too understands Manish’s concern and accepts his help. Kartik doesn’t take Naira’s help and falls down. She feels bad seeing him. Naksh meets Naitik and holds his emotions. Naitik tells Naksh that he has come to Udaipur to know about him. Naitik dedicated his time to Naksh. Naira learns about Kartik’s drinking habit. She takes him home and realizes how their separation has affected Kartik. Naira takes Kartik to her flat, so that Dadi doesn’t get Worried seeing Kartik’s drunken state.